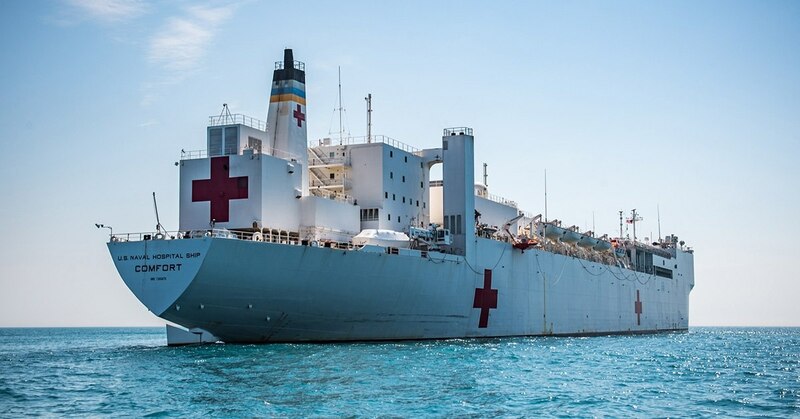 The US hospital ship “USNS Comfort” will depart on October 11 to Latin America on an 11-week humanitarian tour to bring medical assistance to Venezuelan emigrants, the US Southern Command said Monday. During the mission, the vessel will visit Ecuador, Peru, Colombia (in the ports of Riohacha and Turbo) and Honduras, on dates that will be announced a few days in advance. “The purpose of this deployment is to help alleviate the pressure suffered by the medical systems of the host nation due to the increase of immigrants crossing their borders,” spokesman Raymond Sarracino, spokesman for the Southern Command, said in a statement. The announcement that the “USNS Comfort” tour will begin on October 11 occurs two days after a Chinese hospital ship left Venezuela. The hospital ship “Arca de la Paz” of the Chinese Army landed on Venezuelan coasts on September 22 to offer medical assistance amid the severe crisis suffered by the Venezuelan health system. The Venezuelan government has repeatedly rejected, considering it a form of foreign interference, the possibility of establishing a humanitarian channel to address the shortage of food and medicine in the country. The ship will be manned by 200 doctors, nurses and military technicians from the United States and the host nation, as well as 60 medical volunteers from non-governmental organizations with the capacity to attend 750 patients per day. The “USNS Comfort” integrates the US Navy fleet as a non-combatant vessel and, as such, does not carry offensive weapons. Of 272 meters in length, he visited Puerto Rico last year to attend the victims of Hurricane Maria. According to the UN, about 1.9 million Venezuelans have emigrated since 2015, most of them to Colombia, Ecuador, Peru and Brazil.